City Council and the Administration of the City of Gahanna are committed to creating a budget for the City through a transparent and open process. City Council and the Administration are working together to increase the amount of public participation in the budgeting process for the City. To this end, a calendar of events, including public presentations, forums and public feedback mechanisms have been developed. In addition, financial information, narratives and budget documents can be found on this page. 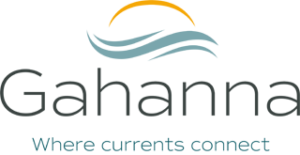 The 2019 proposed budget document was submitted to Gahanna City Council on October 22, 2018. The proposed budget is the financial plan for the year and identifies the City’s priorities and financial policies. The proposed budget is available here. 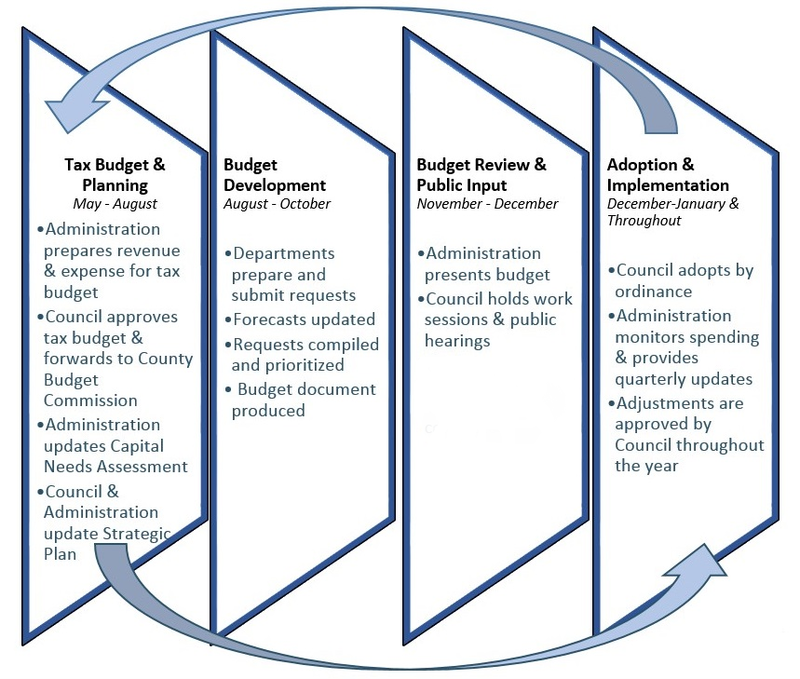 The annual budget process is outlined below and results in Council adopting the budget which provides the legal authority for the City to expend public funds. Adoption occurs at the end of December with an effective date of January 1. We invite you to be involved in the budgeting process by attending public meetings and participating in the public forums. Current financial documents are available for review on this page. We encourage and welcome your feedback. Gahanna’s annual budget is one of the most important and informative documents City officials, staff and citizens will use. It is the financial plan for the year, identifying the City’s priorities and policy environment, and reporting department activities and performance. Developing the City’s budget is a year-round process that ends each December with the final formal adoption of the budget by City Council. Key milestones of the process are the submission of the state mandated tax budget each July to the County, completion and presentation of the annual Capital Needs Assessment, and then Council’s formal adoption of the budget. The Capital Needs Assessment is a critical component of the City’s long-term financial management and forecasting process. In the spring and early-summer of each year, City staff review and update the prior year’s Capital Needs Assessment and document emerging projects and issues in the five-year planning horizon. The updated Capital Needs Assessment is shared with City Council and the public in advance of the budget process, in order to provide ample time to discuss the identified projects and determine which projects should be included in the annual budget request. On June 26th, 2017 the updated Capital Needs Assessment was introduced to City Council for review. Click here to view the complete document. This document provides highlights from the City’s $64.9 million budget in an easy-to-read guide that explains how city revenues – including your tax dollars – are used to provide essential services for the residents and businesses in Gahanna. To view completed Budget in Brief click here. Gahanna’s annual budget is one of the most important and informative documents City officials, staff and citizens will use. It is the financial plan for the year, identifying the City’s priorities and policy environment, and reporting department activities and performance. The 2017 proposed budget document was submitted to the Gahanna City Council on October 24th, 2016. The entire 2017 Proposed Budget document is available here. Please check the calendar below to participate in the budgeting process. The adopted budget became effective on January 1. The City of Gahanna is required by Ohio Rev. Code 5705 to adopt an appropriation ordinance on or about the first day of each fiscal year. This appropriation ordinance controls expenditures at the fund, departmental and object level (the legal level of control). The appropriations may be amended or supplemented by Council during the year as required, by action of Council. The appropriation ordinance sets spending limitations within each fund and department by category: salaries & benefits, operating expenditures, and capital outlay. City Council, in the appropriations ordinance, gives the Finance Director the authority to make transfers up to $3,000 between appropriation line items within any department and fund. Any requests in excess of $3,000 must be approved by Council. Unencumbered appropriations lapse at year-end and are returned to fund balance. Encumbrances outstanding at year-end are carried forward in the following year. The prior year appropriations corresponding to these encumbrances are also carried forward in order to provide budgetary authority for these expenses.